“America’s symbol of freedom – its flag - is changed today. It is different because of us in Hawaii. Today Hawaii’s star is set in the firmament for the first time, and for all time. There is something special about our star. It stands for a state where peoples of every nationality and culture have learned to live in harmony with each other.” ~ Excerpted from Governor Quinn’s Address at the Iolani Palace flag-raising on July 4, 1960, attended by 10,000 people. History Education Hawaii extends its aloha and best wishes to our friends and partners nationwide for a safe and celebratory Independence Day holiday. Our office will be closed throughout the weekend. We will reopen on Tuesday, July 5. We received the June 2011 edition of the Historical Society's Bulletin, Historically Speaking, in today's mail. The Historical Society has for several years enjoyed a productive collaboration with the National Council for History Education (NCHE). - The Historian as Translator: Historical Thinking, The Rosetta Stone of History Education, by Fritz Fischer. - Making Historical Thinking a Natural Act, by Bruce Lesh. - Considering the "Hidden" Challenges of Teaching and Learning World History, by Robert B. Bain. - "The Music is Nothing if the Audience is Deaf": Moving Historical Thinking Into a Wider World, by Linda K. Salvucci. Go to this link to subscribe to The Historical Society Bulletin. Professional historians in the United States are increasingly being called upon to produce more “popular,” more accessible history. How do and how should academic historians reach popular audiences? How and to what extent is “popular” history written around the world? Does the meaning of and audience for “popular history” vary from place to place? Along with professional historians, states, elites, and a variety of interest groups have long had an interest in sponsoring, supporting, and generating historical knowledge for popular and other audiences. We seek paper and panel proposals that will consider “popular” history in its various guises and locales. How and to what extent is the interest in “popular” history genuinely new? How do and how should historians interact with television and movie production or write op-ed pieces or blogs or serve as expert witnesses? Is there such a thing as a truly “popular” history? Do we need a distinctive “popular” history and are historians properly equipped to write it? We especially encourage panel proposals, though individual paper proposals are welcome as well. And our interpretation of “panel” is broad: 2 or more presenters constitute a panel—chairs and commentators are optional. As at past conferences, we hope for bold yet informal presentations that will provoke lots of questions and discussion from the audience, not presenters reading papers word-for-word from a podium followed by a commentator doing the same. This year marks the the 150th anniversary of the commencement of hostilities between Union and Confederate forces in what would become the American Civil War. As we countdown toward this year's July 4 holiday we at History Education Hawaii thought we'd share news reports on how -on the eve of Civil War in the United States- the holiday was celebrated by the American community in the Hawaiian Islands. Source: The Polynesian. Honolulu, Saturday, June 29, 1861. The American residents of this city met at the office of A.J. Cartwright, Esq., on Tuesday evening last for the purpose of making arrangements for celebrating the approaching anniversary of American freedom. The meeting was organized by the appointment of Dr. Gerrit P. Judd as Chairman, and Benj. F. Durham as Secretary. It having been unanimously determined that the day ought to be observed here with appropriate ceremonies, a Committee, consisting of Messrs. D. Foster, G.P. Judd, J. Mott Smith, C.C. Harris, H.W. Severance, W. E. Cutrell, Samuel James, Alvah K. Clark, A. J. Cartwright, and H.A.P. Carter, were appointed to whom was referred the duty of forming a programme for the celebration, with instructions to report at their earliest convenience. On Thursday evening an adjourned meeting was held at the same place, which was very numerously attended. The Committee reported the following programme, which was adopted. Salute of 13 guns at sunrise, from Punchbowl Battery. Commemorative services at Fort Street Church at 10 o’clock, A.M., consisting of prayer, singing of national anthems, and an address from the Rev. C. V. Anthony. Raising of the American Flag at 12, M., at the residence of A.B. Bates, Esq., Nuuanu (who has kindly given the use of his premises for the occasion,) under a salute of 34 guns from Punchbowl Battery, with accustomed honors. Reading of the Declaration of Independence. Collation, at which thirteen regular toasts will be given, and appropriate responses made. Salute of 13 guns from the Punchbowl Battery at sunset. The feeling manifested at this meeting cannot but be gratifying to all Americans. Several speeches were made, breathing the highest degree of patriotism, and some of our old residents came out with strong Union sentiments, uttered with an earnest enthusiasm that proved that their love of their country and its institutions has not been weakened by long absence. Mr. Bates requests us to say, that on the occasion of the Celebration, his premises are at the disposal of all American citizens. Source: The Polynesian. Honolulu, Saturday, July 6, 1861. From 11, A.M., to 12 M., the Diplomatic and Consular Agents of Foreign Powers, Officers of this Government and a numerous host of American citizens paid the customary complimentary visits to His Excellency Col. Dryer, the United States Commissioner at the Court of Honolulu. At 12, M., every body had repaired to the spacious grounds of A.B. Bates, Esp., Nuuanu Valley, which had been placed at the disposal of the Committee, where the Star-spangled Banner of the United States was hoisted under a salute of 84 guns and during the ringing of the bell of the Forth Street Church. The American Declaration of Independence was read by Jos. Fuller, Esq., and the company sat down to a sumptuous collation in a large and splendidly arranged marquee, Chief Justice Allen presiding at the table. Toasts were drank and responded to, and the day celebrated with a heartiness and satisfaction heightened no doubt by the presence of the wives and families of the American citizens and of other invited guests. 1st. The Day we celebrate. We hope that its celebration is general throughout our country, and by arousing memories of past glories will prompt a return to duty of those now following misguided counsels. –Responded to by the Hon. E.H. Allen. 2nd. The President of the United States. We believe him to be a true Patriot and an honest man. His administration commences in discord and gloom: We hope that it will end in peace and brightness. –Hon. Thomas J. Dryer, U.S. Commissioner. 3d. The King and Royal Family. May length of days and prosperity in their Kingdom and Family be the blessings granted to them. –Robert G. Davis, Esq. 4th. The Memory of Washington. The Union of the States is the life of Freedom. –J.W. Austin, Esq. 6th. The Heroes of ’76, both Civil and Military. And rouse the ranks of Warrior Men! And, like Heaven’s lightning, sacredly destroys. 7th. The Army and Navy of the United States. Small bodies-but when needed, have not been and will not be found wanting. –Lieut. Wm. Reynolds, U.S.N. Under it the country has attained to greatness –by adhering to it we shall continue in prosperity. –Ashier B. Bates, Esq. May we never see the day when the citizen shall cease to be a soldier, ready for duty –or the soldier shall cease to be a citizen. –L. McCully, Esq. The brave and loyal soldier. A life of glory shall close in a blaze of light. –J.C. Spaulding, Esq. 11th. Col. Robert Anderson and the other defenders of Fort Sumter. By their staunchness and fidelity they have set an example to the army, and given earnest of a life honorable to themselves and useful to their country. –R.H. Stanley. The American Banner will not allow any of her Stars to play comet, or submit to Indignant Stripes. –H.A.P. Carter, Esq. God bless them. –B.F. Durham, Esq. Nor was this party the only one in honor of the day. Rural picnics seemed the order of the day, and the weather gave all its charm to the enjoyment. A large party of gentlemen met at the residence of Capt. H.S. Howland, in Waimalu, eight miles from town, and spent a most pleasant day together. Another party, of which Mr. Duncan was the soul, met at Moanalua. Another at Waikiki, and the veteran American Capt. J. Meek, had the honor of entertaining His Majesty at the Big Tree, in Ewa. The day closed, as it had opened, with a salute of 13 guns, and in the evening the U.S. Commissioner, Col. Dryer, entertained his countrymen and friends. Every flag-staff in town, and vessel in the port flew the colors to which its owner was entitled, and we would not omit to make honorable mention of the gorgeous profusion of flags and devices which decorated the carriages and horses that plied during the day between the town and the various festal rendevouzes. So ended in Honolulu the celebration of the 85th Anniversary of the Declaration of American Independence; a day memorable to all future ages for the bold and unequivocal enunciation of the political principle that “government exists by the will, and for the interest of the governed.,” and its inevitable corollary that, when that will is slighted, those interests contravened, the people have a natural, inalienable right to set up another government. On that basis did the framers of the Declaration renounce their allegiance to the British Empire and erect a political fabric, that has been the wonder of the age and the polar star of every oppressed people. On that basis the several independent communities on the North American Continent threw in their fortunes together, and it is the sincere and faithful recognition of that principle and the spirit of mutual concession under the pressure of mutual wants, the spirit of conciliating instead of suppressing differences, which spring from it, that has made those communities individually free and collectively great. And the lesson has not been lost upon the world, for the declaration of that principle has gone far to soften the exercise of that oppression which is so often associated with arbitrary government, whether of one, a few, or many; and for more than eighty years the oppressed of Europe have looked well to the West and taken courage. It has been said by a great writer that “revolutions never go backward;” and a principle or a truth once established never dies. The Anniversary of the Declaration of American Independence would then have been an invaluable day on its own account, even had every individual state succumbed as a martyr to the truth it fought for. We honor the day for the principle it bore into the world; we honor the flag of the Stars and the Stripes as its emblem –E Pluribus Unum. We do not feel competent to critically analyze the address of Mr. Anthony; it was eloquent in a high degree, and abounded in forcible appeals and nervous language. It undoubtedly received much of its coloring from the unhappy circumstances which have lately troubled the tranquil path of the United States. The address was received throughout with loud and energetic applause. This morning's edition of the Honolulu Star Advertiser brings news from Hawaii's statewide Board of Education. In an article written by Mary Vorsino, Hawaii's high school students "would be required to pass three math courses and two lab science classes under a new proposal." 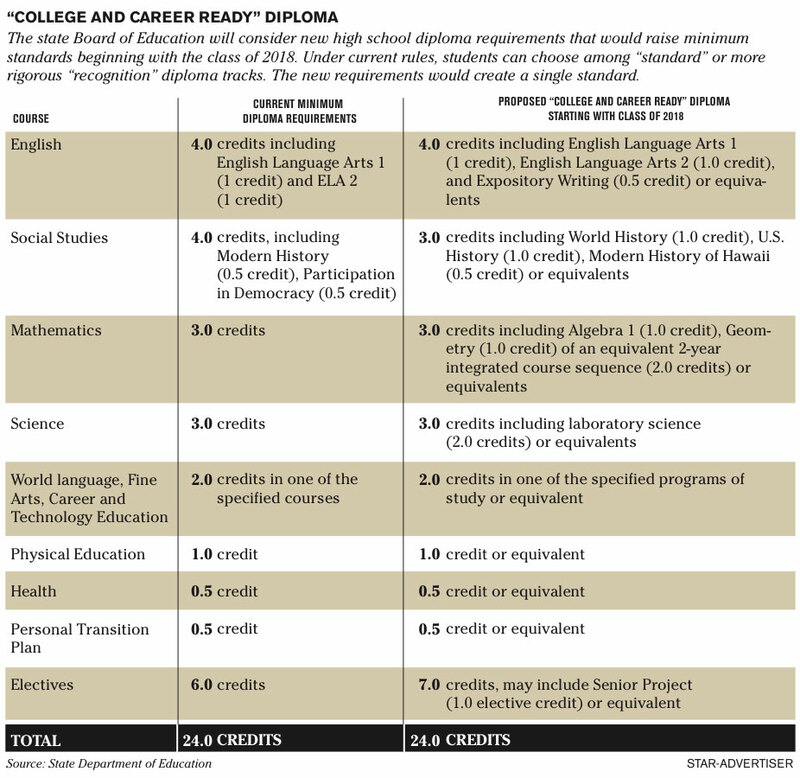 "Every public high school student in Hawaii would have to pass geometry and complete two lab sciences under more rigorous graduation requirements proposed as the state Department of Education continues to fine-tune its diploma policy. "But the department is no longer pushing for all students to take Algebra 2 and wants to cut to three from four the number of social studies credits needed for graduation." he new proposal drew concern from social studies educators, who were rallying support against the change on a Facebook page and planning to attend the board meeting today. Decreasing the number of required social studies credits "does not seem to be a forward-thinking move," said Jeff Moniz, director of the secondary program at the University of Hawaii at Manoa's Institute for Teacher Education and chairman of the Teacher Education Committee for Social Studies at UH-Manoa. "This proposal disturbs me." Social studies teacher Amy Perruso agreed, saying that social studies isn't just about history, but about teaching critical thinking. "We believe a broader education is better," she said. "Students need to have the breadth so that they really understand how the social sciences can help shape their understanding of the world." Will Fitzhugh of The Concord Review has forwarded to us an article by Jeff Jacoby from the Sunday edition of the Boston Globe. Jacoby writes, "When the Department of Education last week released the results of the latest National Assessment of Educational Progress — “the Nation’s Report Card’’ — the bottom line was depressingly predictable: Not even a quarter of American students is proficient in US history, and the percentage declines as students grow older. Only 20 percent of 6th graders, 17 percent of 8th graders, and 12 percent of high school seniors demonstrate a solid grasp on their nation’s history. In fact, American kids are weaker in history than in any of the other subjects tested by the NAEP — math, reading, science, writing, civics, geography, and economics." We encourage you to click this link and read the remainder of Jacoby's comments. Go here as well. "Alas, when it comes to history, as Massachusetts educator Will Fitzhugh observes, the American educational system imparts a very different message. "While the most promising high school athletes in this country are publicly acclaimed and profiled in the press and recruited by college coaches and offered lucrative scholarships, there is no comparable lauding of outstanding high school history students. A former public school history teacher, Fitzhugh is the publisher of The Concord Review, a journal he began in 1987 to showcase the writing of just such exceptional student scholars. The review has printed 924 high-caliber research papers by teenagers from 44 states and 39 nations, The New York Times reported in January, winning a few “influential admirers’’ along the way." Associate Professor of History Linda K. Salvucci is associate the chair elect of the National Council for History Education. The NCHE's office in Maryland has alerted us to this commentary by her that appears in the History News Network. "We need a STEM-like (Science, Technology, Engineering, and Mathematics) initiative for history, to rescue current and future generations of American from historical ignorance," writes professor Salvucci. "We, as a people and a nation, have to pay attention not merely to standards and textbooks but also to teacher preparation and professional development. Revenue-strapped school districts cannot be expected to go it mostly alone in guaranteeing that all students have access to a quality education in U.S. history; the federal government must take the lead in turning around shortcomings in student performance." Go to this link to read her commentary in full. Aloha! Good Monday Morning from Honolulu! Today's mailbag brings news of an interview published in the June 18 edition of the Wall Street Journal. "The popular historian David McCullough says textbooks have become 'so politically correct as to be comic.' Meanwhile, the likes of Thomas Edison get little attention." We at History Education Hawaii concur. 'We're raising young people who are, by and large, historically illiterate," David McCullough tells me on a recent afternoon in a quiet meeting room at the Boston Public Library. Having lectured at more than 100 colleges and universities over the past 25 years, he says, "I know how much these young people—even at the most esteemed institutions of higher learning—don't know." Slowly, he shakes his head in dismay. "It's shocking." He's right. This week, the Department of Education released the 2010 National Assessment of Educational Progress, which found that only 12% of high-school seniors have a firm grasp of our nation's history. And consider: Just 2% of those students understand the significance of Brown v. Board of Education. Read the full text of this revealing interview by going to this link. From bus tours of O‘ahu (Saturday) and Kaua‘i (mid-July) to storytelling and a Pupu Theater event, there is something for everyone. Bring the whole family for the July 3rd Independence Day Pā‘ina which starts with preparations (making butter, ice cream, and bonnets), proceeds to Kahua Ho‘okipa for readings and songs, and follows with a mid-18th century picnic. Read on for details and check the Maile Wreath newsletter or our website. Saturday, June 18th take a Myths & Legends Bus Tour of Honolulu with Nanette Napoleon and then travel to Kaua‘i with her July 16-17 and hear the tales of that island. Saturday, June 25th is a Barnes and Noble book sale day NATIONWIDE and on-line. Sunday, July 3rd we celebrate Independence Day as they did in the mid-1800s; with family pricing and an old-fashioned picnic (optional, but who would NOT want to eat? ), don’t miss this fun! Following the trip to Kaua’i, Storyteller Jeff Gere brings his storytelling camp to MHM and hosts Pau Hana Stories on July 20th. Saturday, August 6th, costumed historic figures tell their stories at O‘ahu Cemetery Pupu Theatre. AND Save the date for Huaka‘i: A Musical Journey, Saturday, September 17th, when Hawaiian music, then and now, will fill the air at Mission Houses Museum as we raise money to take care of Hawaii’s two oldest houses and the world’s largest collection of Hawaiian language books. Funding for programs and the operating budget depends upon this annual fundraiser. Be there! It’s not too late to join Nanette Napoleon on Saturday, June 18th to take a Myths & Legends Bus Tour. Tour through Nu‘uanu Valley, Mānoa Valley, Makiki, Waikīkī, and other locations. You will hear of wizard stones, menehune, a magic spring, a waterfall made of tears, the maiden princess of Mānoa, and many other colorful tales. $45 General Admission ($35 Museum members, seniors & children under 18) This tour, brought to you by the Mission Houses Museum, is funded in part by the State Foundation on Culture and the Arts through appropriations from the Legislature of the State of Hawai`i. Paid reservations required; call Mike Smola 447-3914 or visit the museum web site to register on-line. Hear Nanette describe the day on Public Radio starting at minute 16 of this clip. Also on Saturday, performer Carolyn Hilton will walk along the paths and new garden as part of Speaking in Silence, a performance scattered across the city of Honolulu. Performers, alone and in pairs, alternate as orators and monastics, to be experienced for one day throughout 12 historic and culturally relevant sites. 7:30 a.m. to closing. See the end of this e-mail for a full description. May through August, the Myth and Legend Performance Series on the 2nd Wednesday of the month moves to a new time and place at 5:30 p.m. at Kahua Ho’okipa, if weather permits, or in the Chamberlain House kitchen, site of the 1st Tuesday lunch Historic Bites series. Buy books on June 25th at Barnes & Noble NATIONWIDE. Wherever you are, buy your books and give them the Bookfair ID Number 10469203 so MHM gets a percentage – the more you buy, the more we get. Visit our costumed folks at Ala Moana Center that day from 9 a.m. to 5 p.m. On-line, purchase books all weekend and add the ID number to give us a boost! On Sunday, July 3rd MHM will host a July 4th Weekend Pā‘ina, a day full of activities celebrating as they did in the 1800’s. Don’t miss the keiki “horse” races and making your own bonnet before the noontime procession to the Kahua Ho‘okipa for the reading of the Declaration of Independence and patriotic songs. Slo Food is helping to plan the historically themed picnic – including butter and ice cream you help make earlier in the day! Purchase your tickets by calling Mike Smola at 447-3914. (The on-line system should be up shortly, too.) Admission for the day is $15 per family of 5 or $5 per individual (age 6 or over) and the picnic costs $5, purchased in advance, or $10 that day. If you don’t have a family to bring, join ours – we need lots of volunteers that day to help with all these activities and more! 10:30 a.m. to 4:00 p.m. with activities continuing throughout the day. Kaua‘i Bus Tour, Saturday to Sunday, July 16-17: Hear stories of people who turn to stone, a hairy giant robber, a rainbow princess, and a shark disguised as a man. These will be just a few of the colorful characters that will be talked about during this special two-day bus tour of the island of Kaua‘i. Tour includes round trip airfare and overnight room. Visit the sites of Hawaiian myth and legend with researcher and writer Nanette Napoleon who has been developing and presenting Hawaiian cultural and historical programs for more than 20 years. Paid reservations required; call Mike Smola 447-3914 or visit www.missionhouses.org <http://www.missionhouses.org> to register on-line. $750 per person includes airfare, hotel, two lunches and one breakfast. Live on Kaua‘i? Call or e-mail for pricing and come join us! If you enjoyed Victorian Horrors, you will love the O‘ahu Cemetery Pupu Theatre, Saturday, August 6, as costumed historic figures tell their stories in the cemetery under the guidance of Nanette Napoleon. Reserve your spot on-line for this not-to-be-missed adventure from 5:00 -10:00 p.m.
Save the date for Huaka‘i: A Musical Journey, Saturday, September 17th, when Hawaiian music, then and now, will fill the air at Mission Houses Museum. Funding for programs and the operating budget depends upon this annual fundraiser. Sponsored tables cost $15,000, $10,000, and $5,000 with individual tickets available as well. You will also find updated information including the list of musicians on the website. Got a silent auction item to donate? Want to be sure someone you know gets an invitation? Willing to pitch in on that day? Contact Development Director Mary Ann Lentz at 447-3922 or mlentz@missionhouses.org <mailto:mlentz@missionhouses.org> to buy your table or contribute to the evening. Another ancient art was that of the diviners who revealed hidden things about the land, called Pointers-out-of-sandhills (Kuhikuhi pu’uone)…. They were able to find things hidden away from the eyes of men…. …there were few such persons in the old days [but] there are none today. …orators too have passed away. Speaking in Silence is a new performance commissioned by The Contemporary Museum, in collaboration with the Honolulu Academy of Arts and the University of Hawai‘i, by site-specific performance artist and social choreographer Ernesto Pujol, in collaboration with local and Hawaiian artists and citizens. Pujol was born in the island of Cuba and was raised in the island of Puerto Rico. He currently teaches at Parsons in New York. His public performance practice is about the sacredness of peoples and places, about pilgrimage and presence. Speaking in Silence consists of 19 performers scattered across the city of Honolulu, alone and in pairs, alternating as orators and monastics, to be experienced for one day throughout 12 historic and culturally relevant sites, such as ‘Iolani Palace, the Hawai‘i State Capitol, the Hawai‘i State Library, the Mission Houses Museum, and Tamarind Park at Bishop Square, among others. Pedestrians will receive free map handouts at each of the participating sites in order to find the rest across the city. The performers will dress in red, appear silently and humbly in the morning, and disappear silently and humbly at sunset. It will be a non-spectacle, nevertheless, a non-profit, very public, free event. Language is sacred to all peoples. It is both their nuanced vessel of heritage, and the medium for ongoing cultural battles. The performers will sometimes randomly read from a litany of word definitions, in Hawaiian and English, out of a common text, drawing meaning, weaving the poetic. Their subtle gestures will invite viewers to become silent and listen, to revisit this place. Speaking in Silence addresses the cultural diversity of consciousness across the Pacific, in terms of its native indigenous, Christian, Buddhist, and secular components. Human silence is defined not as the absence of sound, but as the absence of distractions. Can we carve out time and space in an island’s dense fabric for this silence? We seek a fully conscious silence in which words enrich and deepen silence, reopening old sites to our contemporary eyes. The performance will begin at the Museum at 7:30 AM, with performer Carolyn Hilton walking along the paths and new garden. The performance will last until closing time. Today's mail from the National Council for History Education brought news of a CNN interview with Linda Salvucci, chairwoman-elect of the NCHE. Go to this link and read the interview. We're pleased to inform our readers that the 2011 award winners of the Kenneth E. Behring National History Day competitions have been announced. Go to this link to KHON TV's web link, too. * Under the Group Exhibit (Senior) category we note that in second place are Janal Kim, Keri Ann Nagaishi, and Kelly Zakimi of Moanalua High School, supervised by their history teacher, Angela Brooks. Their topic: Creation of Pakistan. * Under the Group Web Site (Junior) category we note that in first place are Kamaile Aluli, Kaylee Alana Miller, and Truman Spring of Laie Elementary School, supervised by teachers Serena Tuliloa and Colleen Spring. Their entry: Between a Rock and a Hard Place: the battle over Hetch Hetchy. Our congratulations to our winners from Hawaii! What is National History Day? Find Out Here! Have you heard of National History Day? Of course, many teachers, education specialists, historians and history-buffs across Hawaii and the rest of the country look forward to this annual day each year. We invite you to check out this video on YouTube. It features two very passionate National History Day (NHD) alumni. Jon and Amma comment on their experiences as active participants in the NHD program and on how it effected their lives and careers. We think that history educators will connect with these two outstanding professionals on many levels! Right now the Kenneth E. Behring National History Day Contest is happening NOW in College Park, Maryland! Good luck to all the contestants. Check out the other videos on the official NHD YouTube channel and the NHD web site. One hundred sixty-eight years ago today the Continental Congress passed a resolution describing in detail what the flag of the United States should be. But, as is frequently the case in the acts of such bodies, inevitable changes in conditions were not anticipated, and while our flag in essentials is as described in the resolution, some details have been altered to make it conform to changed conditions. When the new states of Vermont and Kentucky were added, Congress enacted that the flag should have fifteen alternate red and white stripes and the union be fifteen stars in a blue field. By 1818 it became evident that the number of stripes could not be made to conform to the number of states that were to be carved out of the public domain and the stripes were reduced to the original number, and Congress ordered that the number of stars should correspond to the number of states, a star to be added on the Fourth of July following the admission of a new state. There was no definite arrangement of the stars until 1896 when it was ordered that they be placed in six rows. The admission to the union in 1912 of Arizona and New Mexico, the last territories in continental United States, brought the number of states and, of course the number of stars in the flag, to 48, completing the rectangle of six rows of eight stars each. Each of the outlying territories, Alaska and Hawaii and Portp Rico has ambitions to become the 49th state and be represented on the flag as the 49th star. It is also rumored that the Philippines would prefer being the 49th state to being made an independent nation. The war which has been fought to a victorious conclusion in Europe, and the one being fought in the Pacific, has deepened the reverence of our fighting men for our flag and the fine things for which it stands. Our flag, together with those of other democratic states, has brought new hope to millions of liberated peoples. It may be that these liberated people read a deeper meaning in the colors of our flag than we who have never been called upon to suffer because of being deprived of the things for which these colors stand, red for valor and zeal; white for hope, purity and right conduct; blue the color of heaven, reverence to God, loyalty, sincerity, justice and truth. It is worthy of note that steps are being taken in Congress to make official the flag pledge which has been used for some time in the schools. It would be eminently fitting at this time of our country’s testing to renew our pledge of loyalty to an indivisible nation and to a flag which stands for liberty and justice to all. Most Subgroups and Low Performers Show Greatest Improvement Since 1994. "Washington, D.C. — Eighth-graders earned the highest NAEP U.S. history scores to date. 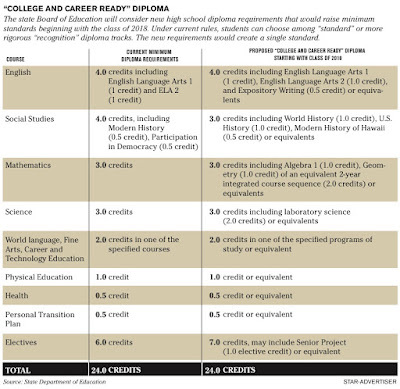 Still, only 17 percent scored at or above the Proficient level. In fact, on the seemingly easy question shown here [below, right], only 32 percent of all eighth-grade students who took the assessment provided a complete response. Among students who scored at the Proficient level, however, 72 percent answered the question correctly. "Performance on the U.S. History 2010 National Assessment of Educational Progress (NAEP) at Grades 4, 8, and 12 has shown some overall improvement since 1994. However, the only progress since 2006 was at grade eight, with significant improvement of Black and Hispanic eighth grade scores over these years. Performance by fourth and twelfth graders remained unchanged compared to 2006." For the full text of today's news release from the National Assessment Governing Board go to this link. Visitors can also download the pdf-formatted version of the report on the same page. To browse the 2010 report online go to this link. Release of The Nation's Report Card: U.S. History 2010, Grades 4, 8, and 12. The study of U.S. history is vital, and today's students need to know and understand the origins and evolution of their nation to help shape their future. But how well are today's students learning U.S. history? Please join us for the release of The Nation's Report Card: U.S. History 2010, Grades 4, 8, and 12. Students nationwide responded to questions on the National Assessment of Educational Progress (NAEP) about American history in the context of democracy, culture, technological and economic changes, and America's changing world role. The results show how well students understand the themes, periods, and ways of knowing and thinking about U.S. history. The 2010 results can be compared to results from 1994, 2001, and 2006, providing a trendline of student achievement in U.S. history over time. The results will include racial/ethnic and gender comparisons, as well as background data on other variables. NAEP, also known as The Nation's Report Card, is the only continuing, nationally representative measure of student achievement in the U.S. A distinguished panel will discuss the report's findings and the importance of history in defining America's democracy. Jack Buckley, Commissioner, National Center for Education Statistics. Steven L. Paine, Member, National Assessment Governing Board; vice president of strategic planning and development, CTB/McGraw-Hill. Diane Ravitch, Research professor of education, New York University; education historian; and senior fellow, Brookings Institution. David Gordon, Member, National Assessment Governing Board; superintendent of schools, Sacramento County Office of Education (webinar moderator). Tomorrow, June 10, is Kamehameha Day. 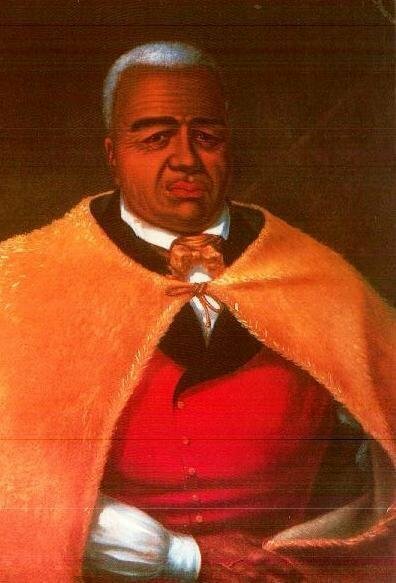 It is a state holiday in Hawaii honoring Kamehameha the Great, the monarch who united the Hawaiian Islands and established the kingdom in 1810. Our office will be closed for the three-day holiday weekend. We'll re-open on Monday morning, June 13. The Department of Education is proposing to tackle $32.8 million in budget reductions over the next two fiscal years by cutting the per-pupil funding schools recieve by nearly $8 million and slashing several programs. DOE officials will present their budget plans this morning at a Board of Education committee meeting. >> Reduce the non-salary amounts for most other programs by 2.5 percent. In her memo, Matayoshi said a host of other options were considered, including cutting all student transportation services, eliminating kindergarten (because it is not mandatory), and reducing all non-salary funding to programs by 13 percent. Matayoshi said any cuts are hard and the proposed funding changes will have an effect. "The reduction to WSF (weighted student formula) will reduce the amount of funds that are distributed to schools, and this will have a negative impact on schools as they will have less to operate with," Matayoshi said, in the memo. She added that eliminating funding for adult education, "may eventually result in fewer course and/or consolidated school sites." Aloha Kakahiaka! Good Morning! Today's mail brought news that the American Antiquarian Society has released an interim edition of its online journal of history, Common-place. What do eighteenth-century letter writing, New York City, and Paul Revere have in common? The answer may have something to do with how colonial Americans reconciled their everyday lives with their status as subjects on the periphery of a British Empire that stretched from Asia to North America. To learn how early Americans made due and made out on the fringes of the Empire and to see the next installment of the graphic novel Ithaca, click the link above and enjoy! Good Morning! We just received news that the National History Club's Spring 2011 newsletter is available. Go to its web site, or download the pdf-document at this link. This Issue contains an article by General Dave Palmer, former Superintendent of West Point, over 30+ chapter accounts, recipients of the "History Student of the Year" prize and "Advisor of the Year" award, information on Give 150 from HISTORY, and much more! If you have an interest in the 150th anniversary of the American Civil War the Gilder Lehrman Institute features a growing collection of podcasts, articles and online-based exhibits. This year marks the beginning of the sesquicentennial of the 1861-1865 war. Go to this link to browse the Institute’s Civil War collections. Founded in 1994, the Gilder Lehrman Institute of American History is a nonprofit organization supporting the study and love of American history through a wide range of programs and resources for students, teachers, scholars, and history enthusiasts throughout the nation. The Institute creates and works closely with history-focused schools; organizes summer seminars and development programs for teachers; produces print and digital publications and traveling exhibitions; hosts lectures by eminent historians; administers a History Teacher of the Year Award in every state and U.S. territory; and offers national book prizes and fellowships for scholars to work in the Gilder Lehrman Collection as well as other renowned archives. The Gilder Lehrman Institute's website, www.gilderlehrman.org, serves as a gateway to American history online with rich resources for educators, designed specifically for K-12 teachers and students. Following the Japanese attacks that destroyed U.S. airfields on Luzon on 8 December 1941, thousands of Filipinos fought side by side with U.S. Army soldiers in the defense of the Philippines. Yet at the same time stateside recruiters refused to enlist Filipino-American volunteers due to their status as American nationals. Under the Selective Service and Training Act, American nationals were ineligible to serve in the Armed Forces of the United States. Hawaii K-12 teachers are invited to 'World War II in the Pacific: Exploring Hawaii and Pacific Island Perspectives Using Primary Sources.' This is a free of charge, five-day educational program scheduled to begin on July 11. Travel support and accommodations are available to neighbor island teachers. The program features experts on World War II in the Pacific. It will be held at the Pearl Harbor Visitors Center and Tokai University Pacific Center off Kapiolani Blvd. Presentations will be given by University of Hawaii faculty, museum curators and historians from the National Park Service. University of Hawaii speakers will discuss resources at the Hawaii War Records Depository, oral histories as primary sources, Native Hawaiians in the war and documentation of World War II memories in Micronesia and Melanesia. Applications to attend are due June 14. For more information and to apply go to this link.